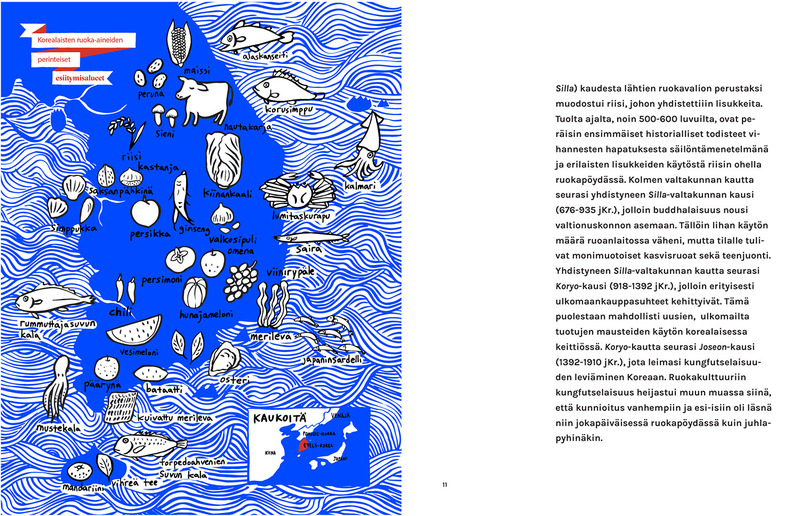 Bap is the first Korean cookbook in Finnish, published by Embassy of the Republic of Korea to Finland. 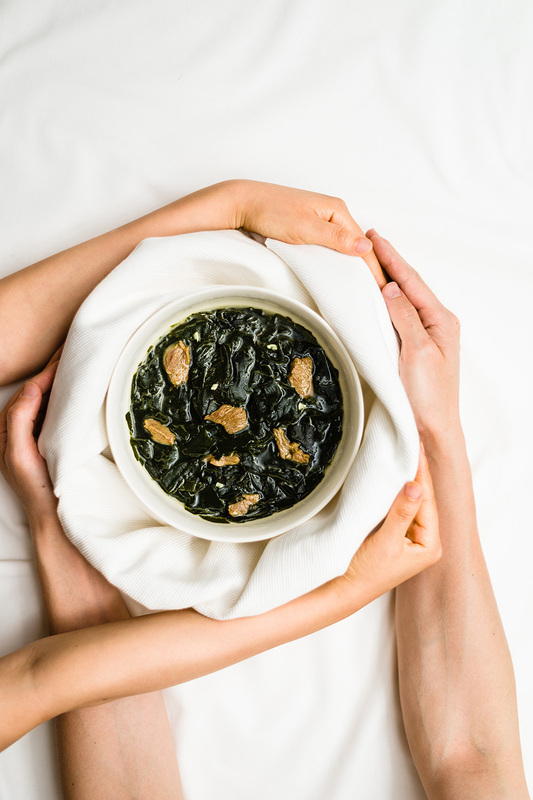 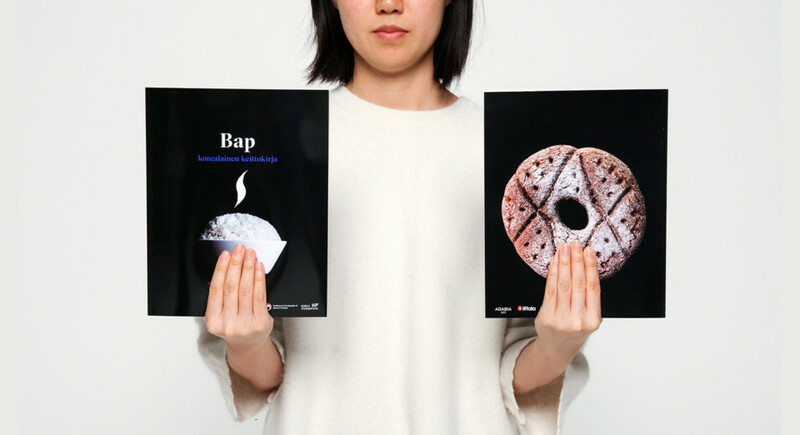 The cookbook introduces 22 basic Korean recipes through stories of Korean culture and important events of life, such as birth, marriage and death. 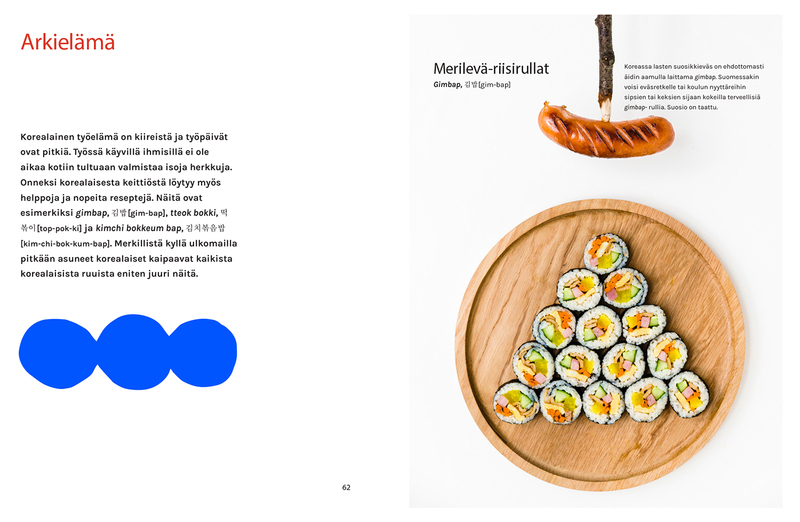 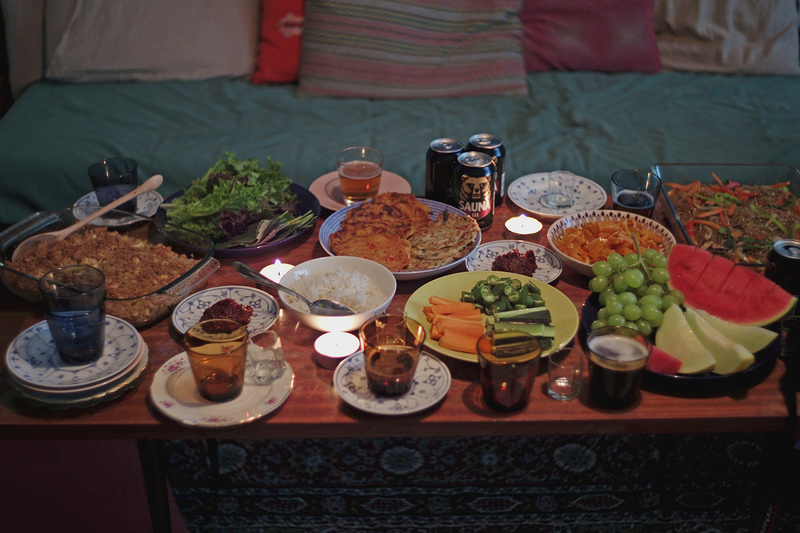 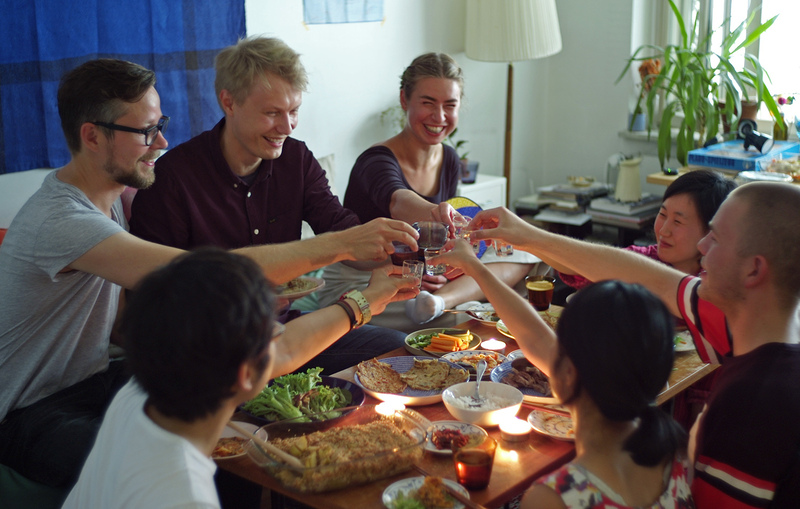 To describe Korean food culture to Finns more competently, photos were combined Korean food with typical Finnish items; birch branches, grilled sausages, blueberries, firewood and a foraging tool. 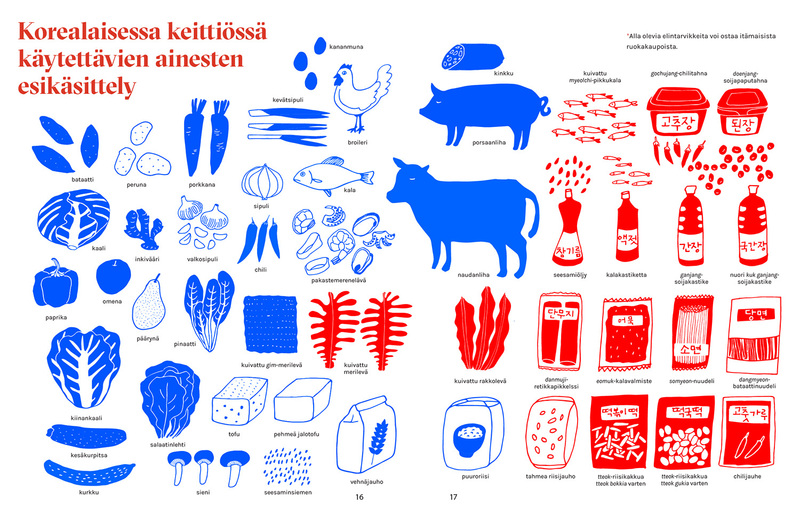 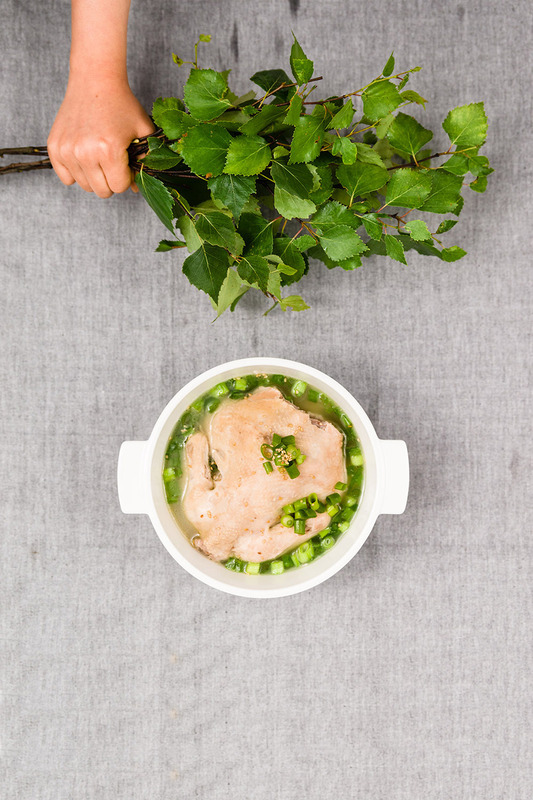 The recipes consist of familiar and purchasable ingredients in Finland.